Hay I am making my own Monster card game series Megaletmon. The speciality of this monster series is 99.99% of the monsters are made my Human made disasters. 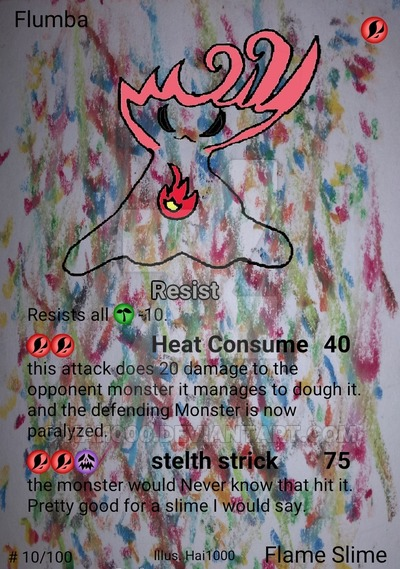 Other then then the elements in this card, all are made my me including the attack ideas.